Many people think that when using a crockpot, they are restricted to making only soups and chili. 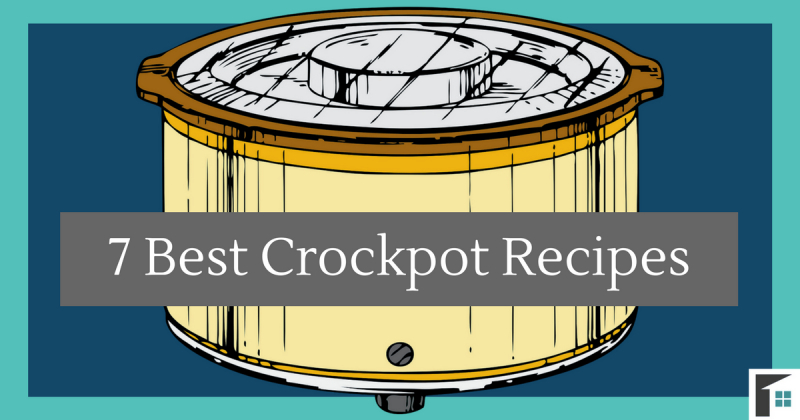 The truth is that crockpots can be used to make almost anything and they make it for you! These amazing appliances are great for those busy-bodies who don’t have the time to prepare a large dinner after work. They save time, need little effort, and make amazing food! Simply throw all the ingredients into a pot, turn it on and head to work. Your creation will be done by the time you get home! The best thing about the crockpot is that it isn’t limited to one type of meal. 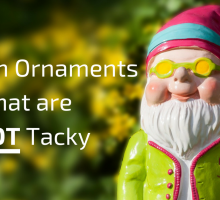 Crockpots can be used to make stews, soups, cakes, lattes, roasts, and much more! 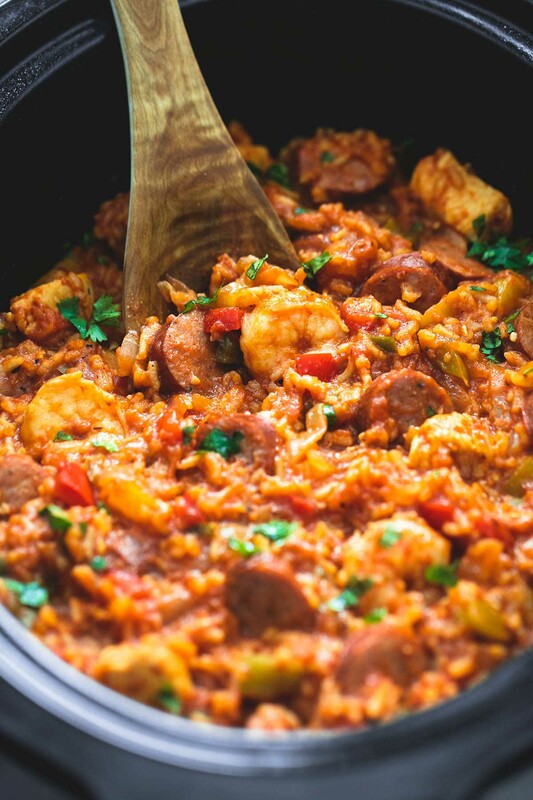 Here are 7 of the best crockpot recipes to keep your meal plan exciting and easy! For those times you are feeling under the weather, or just looking for something to warm your soul, make this soup! 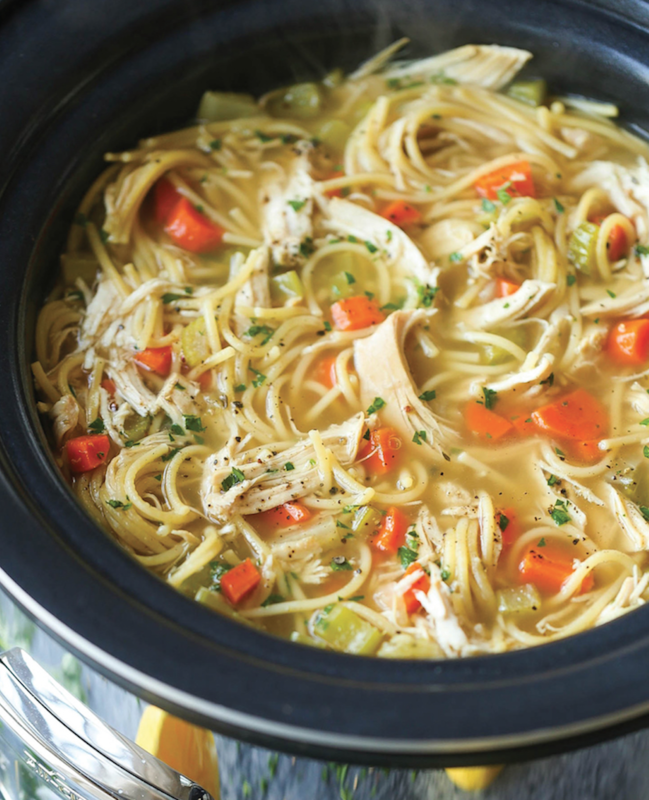 A homemade chicken noodle soup that is filled with fresh vegetables, noodles, and juicy chicken. It is as simple as throwing in most of the ingredients for 6-8 hours and then adding some finishing touches afterwards. A great meal to come home to on those cold and windy days! 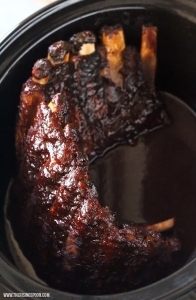 Yes, you can even make BBQ ribs in your crockpot, avoiding using the actual BBQ outside! This recipe is so simple that you will be in awe of how easy dinner can be. These BBQ ribs only need spices and meat, so no need to run to the grocery store for obscure ingredients. Make a salad, mashed potatoes, or steamed vegetables for a side and your dinner is complete! Breakfast doesn’t always have to be boring cereal and toast. 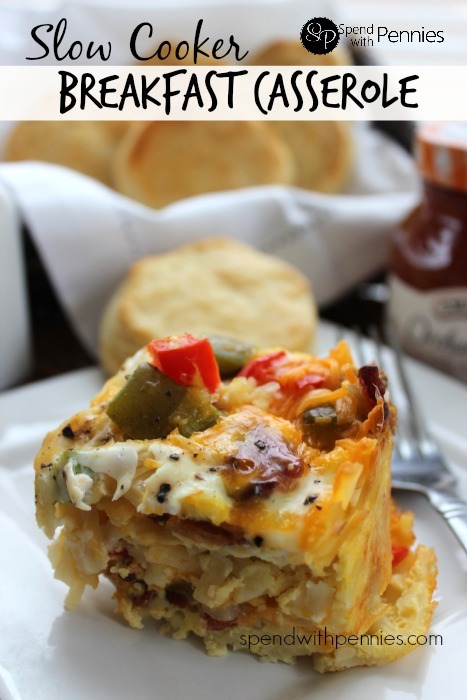 Shake it up by making breakfast in your crockpot, so that when you wake up breakfast is ready! Put the ingredients in right before you go to bed and a quick 6-8 hours later you will be ready to eat! 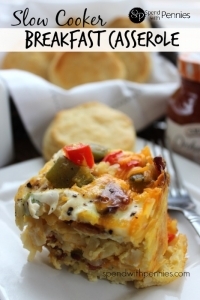 Not to mention you will wake up to the beautiful smell of breakfast casserole just waiting to be eaten. If you don’t have all of these ingredients, you can easily throw in ingredients found in your fridge and make it specially yours! There is something about comfort food that makes us feel relaxed and… comforted! 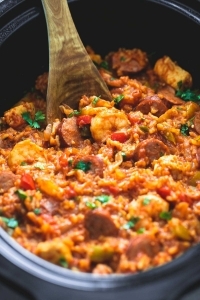 Jambalaya is the perfect evening meal that is satisfying and makes great leftovers! 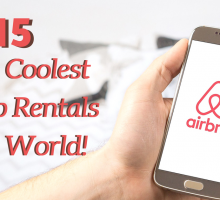 The whole family will love this one and make them come back for more. The flavor will thrill your taste buds and you can choose the amount of spice you want – throw in an extra two jalapeños for some real kick! Not all pasta dishes need a noodle. For those who are trying to avoid carbs or need gluten free options, this is the meal for you! A healthy lasagna made with eggplant and zucchini that can be made in your crockpot! This recipe is a great way to change up pasta night and requires barely any effort. Not all crockpot recipes have to be your average, well-known meals. You can make exciting and new dishes with your crockpot that avoid the routine soups and stews. 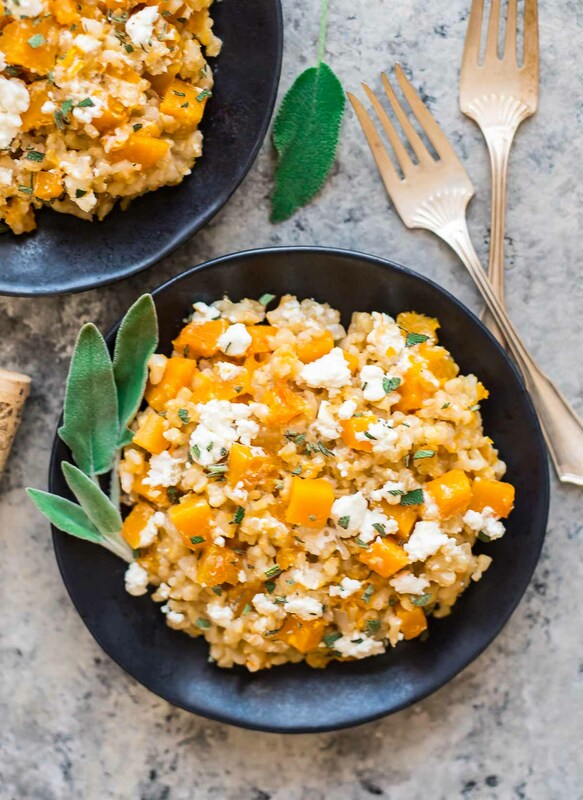 This Risotto dish will bring all kinds of flavors into your mouth and leave you feeling satisfied and healthy! Best of all, this crockpot dish does not require any stirring, so you can be out and about all day and not have to worry! 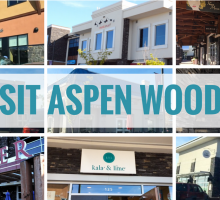 Are you looking for something to satisfy your sweet tooth? Do you need a desert but have no time to make anything? 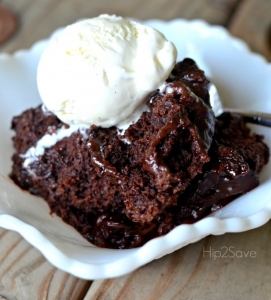 This chocolate lava cake is just what you need! 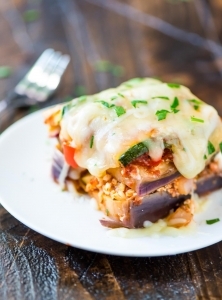 Although it may not be the healthiest thing your crockpot will make, it sure will be tasty! It is simple and can be baked in a quick 2 ½ hours. Who needs a birthday cake when you can have a crockpot cake!